One of two men suspected of killing a Briton in Cyprus has been re-arrested, but the victim's family has been told there is no hope of a murder trial. 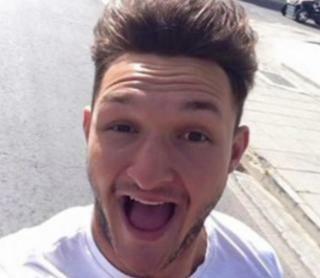 George Low, 22, from Dartford, Kent, was stabbed to death in Ayia Napa in southern Cyprus in August 2016. Mehmet Akpinar fled to the Turkish-controlled north with a second suspect where both were arrested for an unrelated offence and later freed. He has now been re-arrested and jailed by the authorities in the north. Mr Low's parents, Martyn and Helen Low, said they hoped the Turkish authorities would "do the right thing" and hand Mr Akpinar over for trial. But an email from the Foreign Office to the family stated: "Unfortunately there is no prospect of Akpinar being handed to the Republic of Cyprus from the north. Akpinar will be returned to Turkey at the end of his sentence. "This is because there is no extradition treaty between North Cyprus and any state other than Turkey. We are in the same situation now as we were before this arrest." Mr Low said: "I can't believe it. We're completely devastated by this. We have been trying to be positive but this is so frustrating." Their son's friend, Ben Barker, was also seriously injured in the attack, suffering stab wounds to his back. Following the murder, Cyprus Police issued arrest warrants for Mr Akpinar, 22, and Bulgarian national Sali Ahmet, 42, but Turkish Cypriot authorities in the north refused to hand them over to the Greek Cypriot south and both were allowed to leave the country. Northern Cyprus has no extradition treaties in force, other than with Turkey. Gareth Johnson, the Conservative MP for Dartford, has been in regular contact with the Foreign Office, which is "taking the opportunity to raise the profile of George and Ben's case to the relevant parties". Mr Johnson said: "The Greek Cypriot authorities should hand over any evidence they have against Mr Akpinar to the Turkish Cypriot authorities. "Here we are, some 14 months after [George Low's] murder and still there's been no progress, and that needs to change."